We are excited to announce that Raliance is convening ThisGEN: Youth Summit in Washington, D.C. from March 5th -10th 2017. The summit will bring together youth activists from around the U.S. states and territories to work together to end gender-based violence. Apply to participate in the event – please join an informational web conference on Thursday, October 20th at 7pm ET/ 6pm CT / 5pm MT / 4pm PT to learn more about applying and participating! 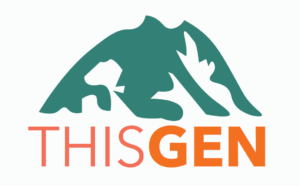 Submit a proposal to present at ThisGEN: Youth Summit – please join an informational web conference on Tuesday, October 18th at 1pm ET / 12pm CT / 11am MT / 10am PT to learn more about presenting at this event! Be sure to connect with ThisGEN on Facebook, Twitter, and Instagram as well to stay up to date with this exciting event! Please share this information with local high schools and other sexual violence prevention organizations working in and through our three tracks – sports, media and policy. If you have any questions about the event, please go to the Youth Summit FAQs or email [email protected].